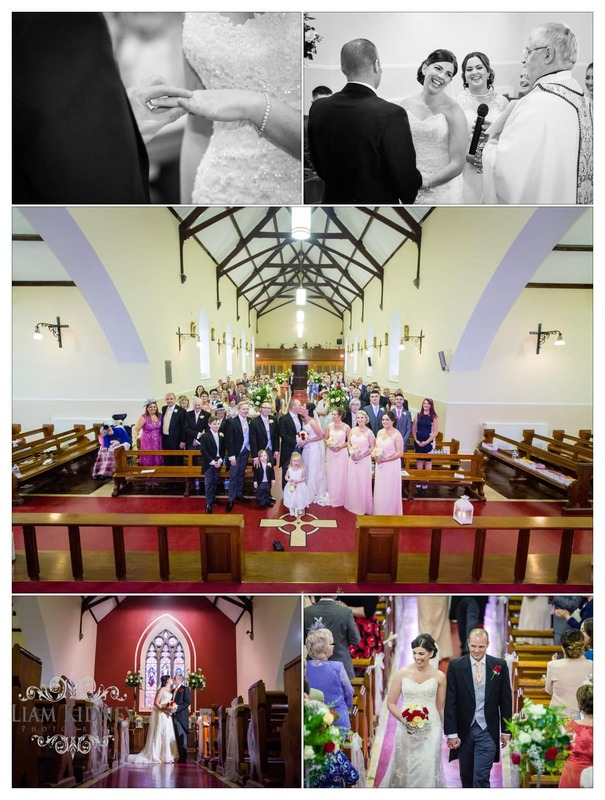 I covered the wedding of Lisa and James in St Ronan’s Church in Taughmaconnell near Ballinasloe, Co. Galway. 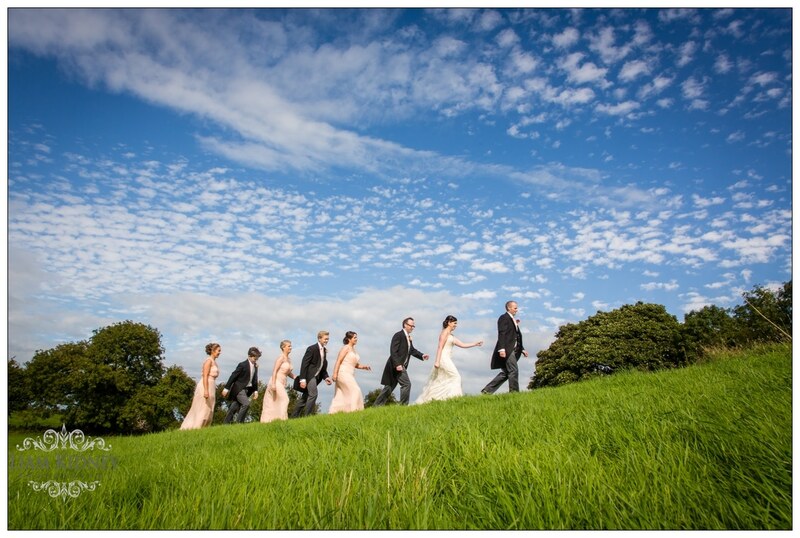 The weather was really changeable but it cleared up to blue skies after the church. We got lovely photos in the field next to the church in Taughmaconnell. 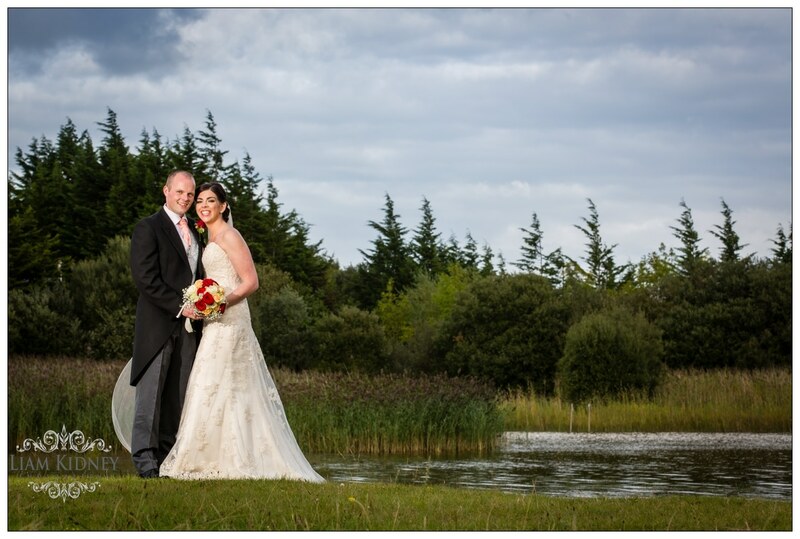 The reception was held in the stunning lakeside venue Hodson Bay Hotel. I recently caught up with James and Lisa and asked them all about their wedding and if they have any advice for couples after it. We met through Lisa’s family, when James made an ad hoc visit to Dublin with Lisa’s cousins. We all ended up in Coppers and the rest is history! Lisa moved to the UK 2.5 years later in 2013 and James popped the question in 2015. We went to Cambridge for the day to do some sightseeing and exploring. Cambridge is famour for punting so we rented a punting boat as we thought it would be fun and easy, how wrong we were! We lost pole which one uses to push the boat, while a very stressed James tried to steer the boat, with Lisa guarding his jacket, not realising the ring was inside. Anyway, during a quiet romantic moment outside Queens College Cambridge, James popped the question! 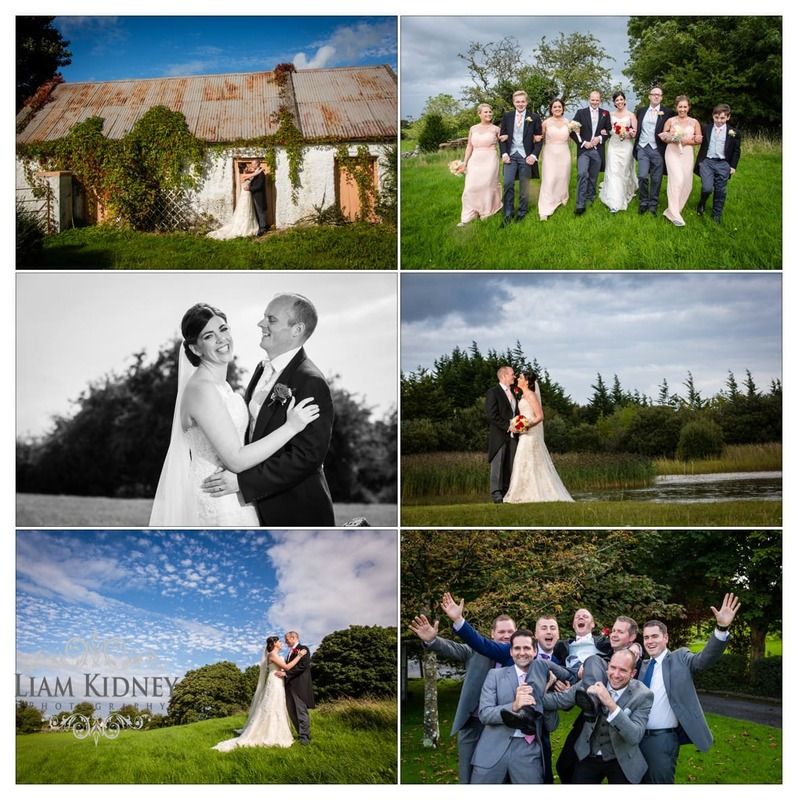 We wanted to have a wedding that reflected our personalities and style, which involved coming some ideas from both English and Irish weddings. 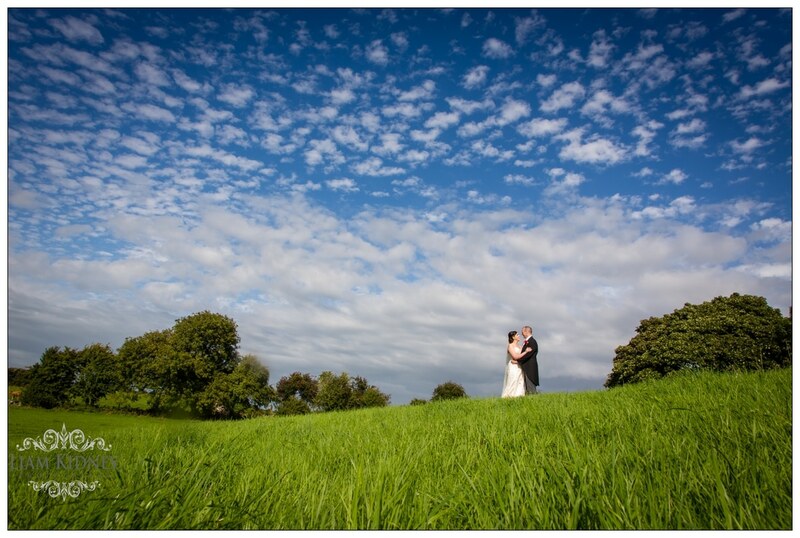 We are also both very hands on a proactive in planning all aspects of the wedding together. We had lots of fun, from practising walking down the aisle (i.e. our back garden!) to rehearsing our first dance! We didn’t have a specific theme, however we wanted to combine elements that we had like from both English and Irish weddings. For example, all of the stationery from invites to table plan (which we made ourselves) had a logo which combined the Irish shamrock and English red rose. We also decided to be a little creative and create a post box for wedding cards that was half An Post Green and half Red Royal Mail. I got my dress from a small local supplier called Brides-2-Be in Watford, just outside London. I had initially found “the dress” while shopping with my bridesmaids in London, however as we lived near Watford I looked for local suppliers who would add the personal touch. My supplier was amazing; they accommodated additional fittings so that my family could make trips to London to see me in my dress ahead of the big day. They also provided me with lots of information and put me completely at ease ahead of flying to Ireland with my dress for the big day. 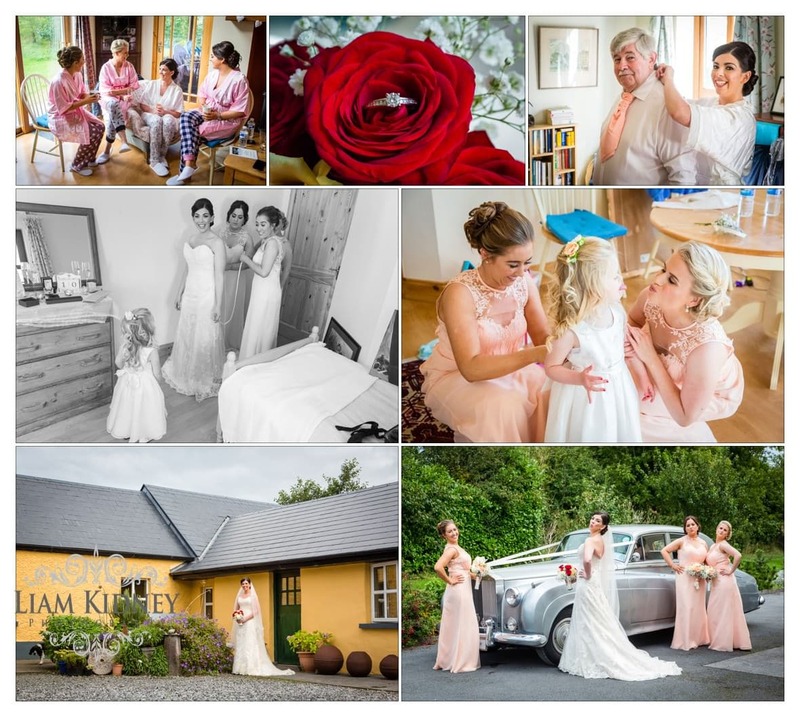 The bridesmaid dresses were from Abelle Bridal Boutique, Trim, Co. Meath. This was on an excellent recommendation from a friend of mine that got married just before us. 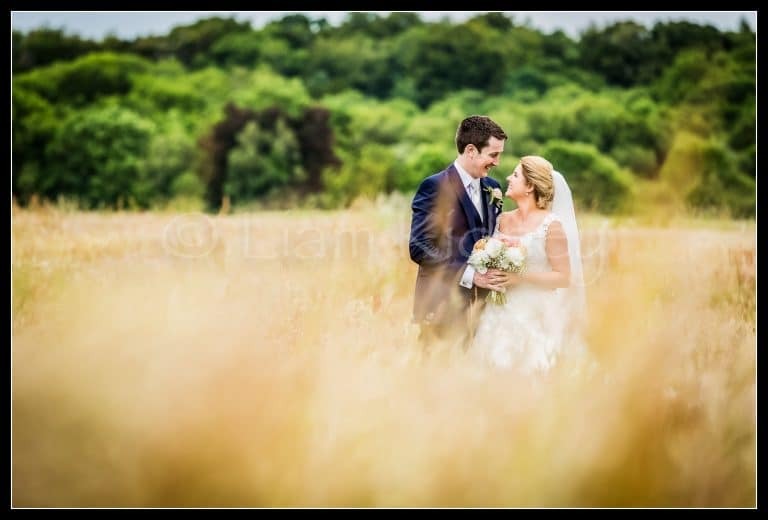 The suits were hired from Moss Bros, who are a mainstream UK menswear company, but have a store in Liffey Valley in Dublin, so we were able to collect the suits from Liffey Valley 2 days before the wedding. This made the logistics much easier, as the Groom and groomsmen all travelled from the UK for the wedding. My hair was by the excellent Sandra from Carisma Hair Design in Ballinasloe, and my makeup was by the amazing Audrey O Connor from Essence of Beauty. 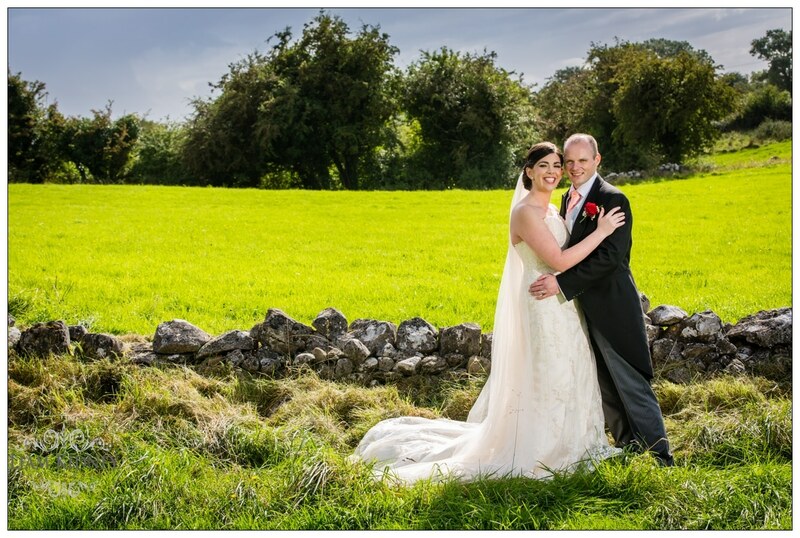 I use both suppliers for hair and make-up anytime I travel to Ireland to attend weddings of friends and family. They are both amazing at what they do and were a joy to have around the morning of our wedding. The part we remember most was how comfortable the priest Fr Sean Neylon made everyone feel, from settling the brides nerves, to making all of the English guests feel welcome. The most special part was how personalised the ceremony was. Lisa grew up in Taughmaconnell and as this was her home church where she was baptised, coming home to get married was special. We personalised a lot of the ceremony. 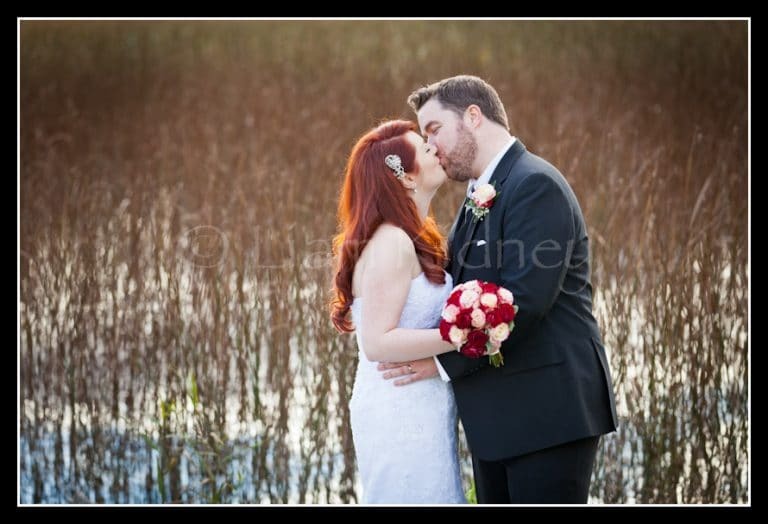 Once we decided that the wedding would take place in Ireland, we immediately knew that we wanted The Hodson Bay as our reception venue. We had been at family wedding there as a couple and we just knew that the location, surroundings, and the amazing staff there were exactly what we wanted for our special day. Our favourite part of the day was the ceremony. Fr. Neylon put us and everyone else so much at ease. The ceremony was light hearted, lots of fun and very relevant to the group of wedding guests we had. Our photo shoot after the ceremony was also such good fun. Liam is hilarious and so friendly in his approach. We really had a great laugh while Liam shot from every angle! He really is a master at his craft. Do it your way and make sure you have fun along the way!! We also took a little time out for ourselves. It is one of the busiest days of your lives and you actually spend very little alone time together. We took 15 minutes (while our guests were being ushered into the reception room) just to sit on the balcony of the bridal suite of the Hodson Bay, taking in the surroundings and the day itself. It was such a nice moment together.